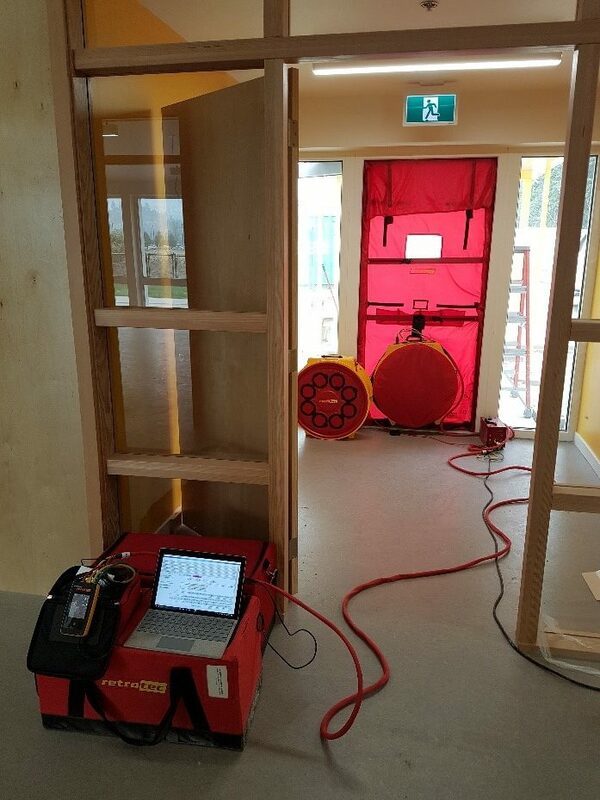 One of the energy services provided by BC Building Science is air tightness testing as per the EN 13829 standard for passive house. 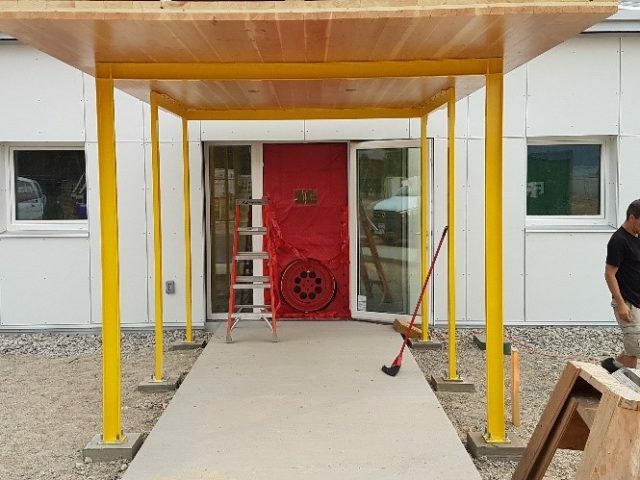 Mohammad Fakoor, PhD, CEA, EIT, one of BC Building Science’s Certified Energy Advisors, recently authored a report on the air tightness tests performed at the passive house Okanagan daycare in Penticton. Passive House presented Dr. Fakoor’s report at the NAPHN17 conference in Oakland, California. Smoke/IR-thermography diagnostic tests at mid-construction to find the deficiencies in the air barrier system. Air tightness test at mid-construction when the air barrier was complete and before putting up the drywall. Determination of the preliminary ACH number at mid-construction to ensure the final ACH target is achievable. Consultation for the contractor on preparation work for the test and how to effectively seal the intentional holes in the envelope. Final air tightness test to determine final ACH number as an average of pressurizing and de-pressurizing the building.